I designed and built this website for a Danish company – they found me through a competitors website they really liked which I had also built. We communicated entirely through Skype and email. 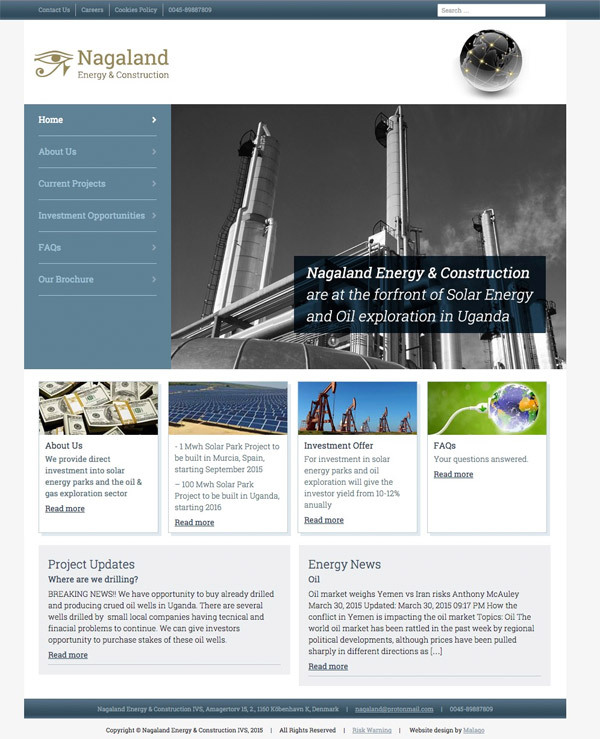 They went against my advice and decided to have a company name (Nagaland Energy & Construction) which was completely different from their URL (RA Oil Exploration), however I did manage to talk them out of making the logo ‘bigger and framed with a triangle and be in the color of gold, the text of Nagaland to be thicker color in gold, with a thin line of black around or maybe shaded’. Keep it simple.